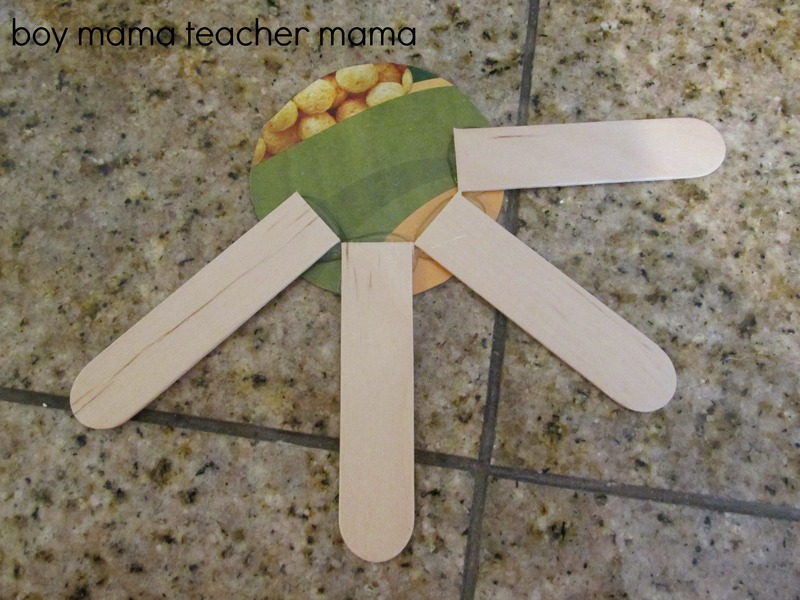 I get so excited when I receive my arts and crafts package from CraftProjectIdeas.com. It’s always full of such fun things and my mind starts to spin with ideas the minute I open the box! 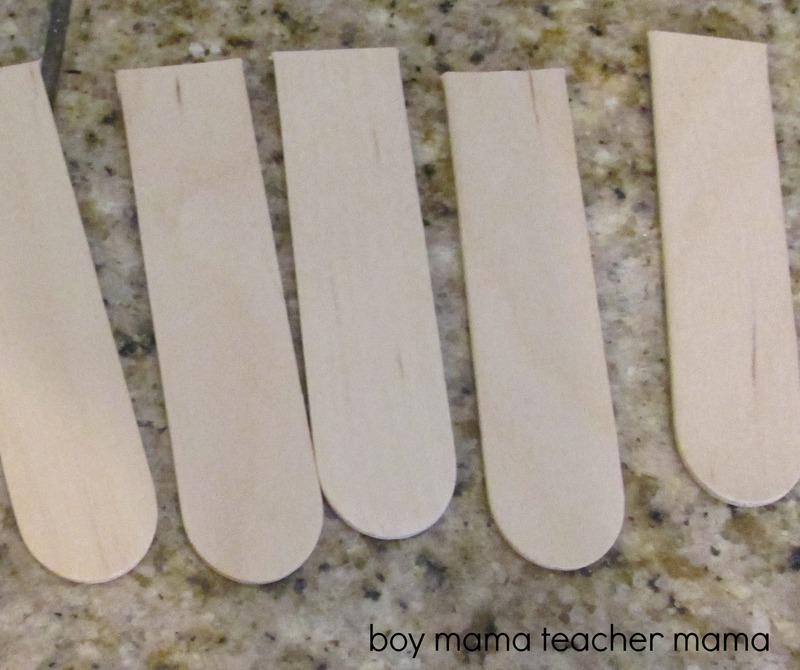 This time one of my favorite craft materials was included- wooden craft sticks (aka popsicle sticks)! Not really sure why I like them so much, but I do. I have also been really into sunflowers lately. So, I combined my love for popsicle sticks and sunflowers and came up with this idea. 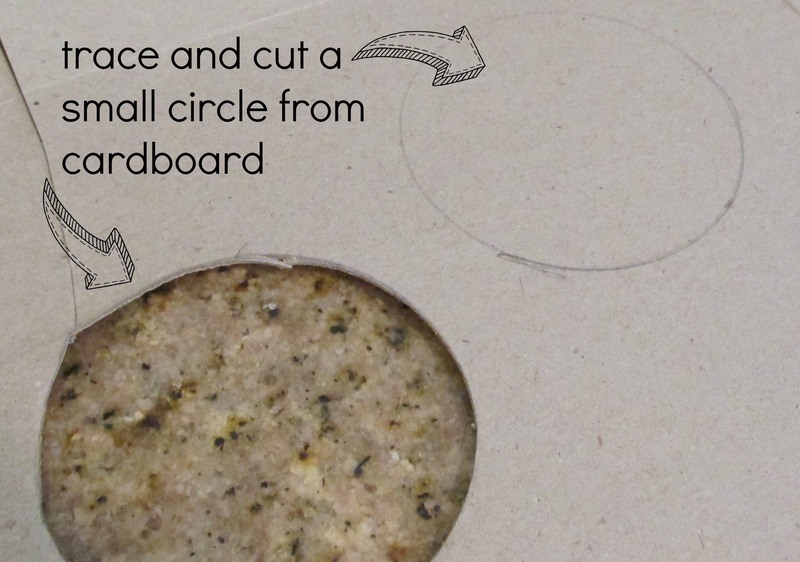 Directions: To begin, trace and cut a small circle from cereal box. 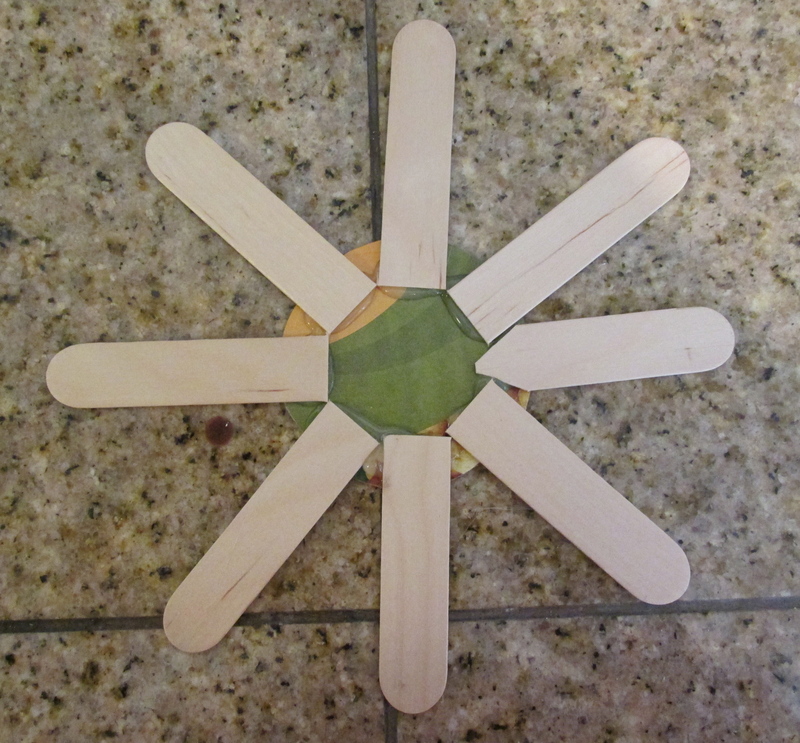 Using your hot glue and hot glue gun, arrange the craft sticks around the cardboard circle and affix in place with the hot glue. 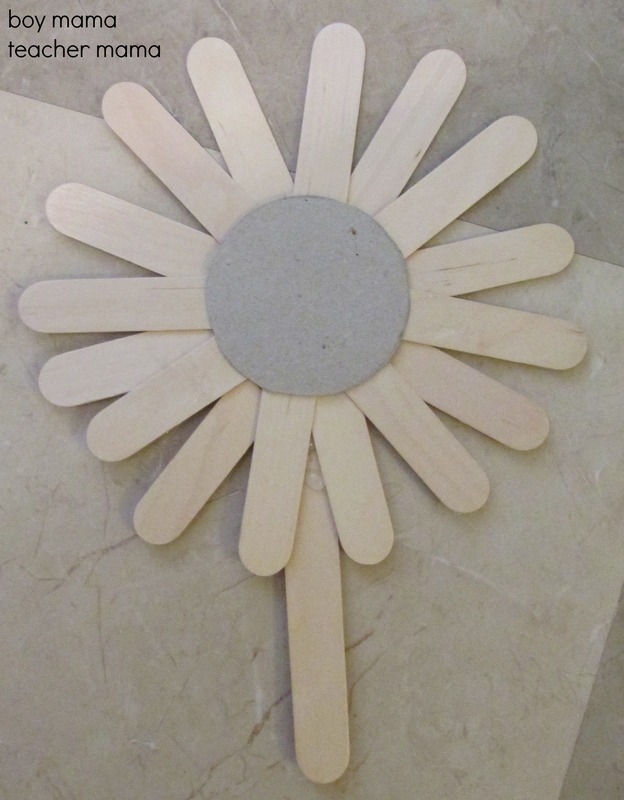 Repeat with an additional circle of craft sticks so you end up with the sunflower shape as shown below. Glue one full stick on for the stem. 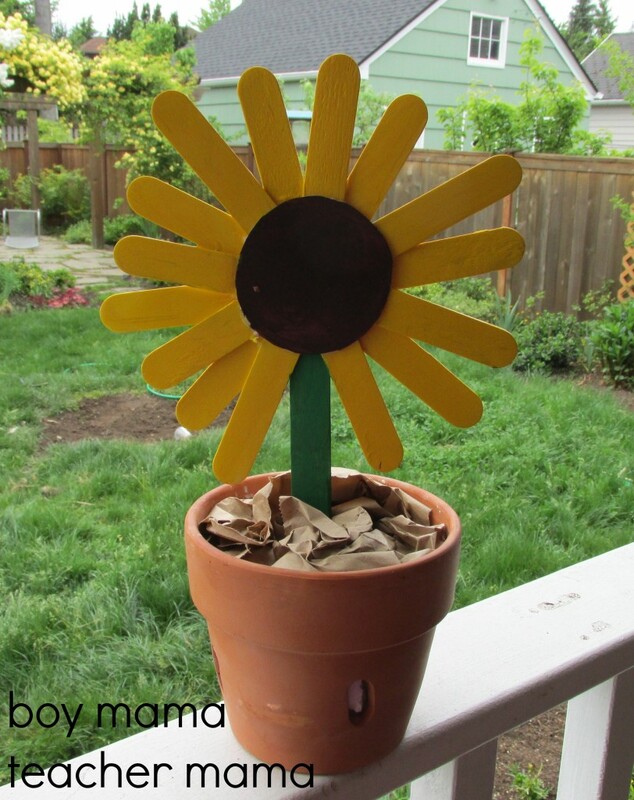 Once the flowers are dry you can “plant” them in a container with brown paper bags or tissue for soil as shown below. Or add them to your garden. 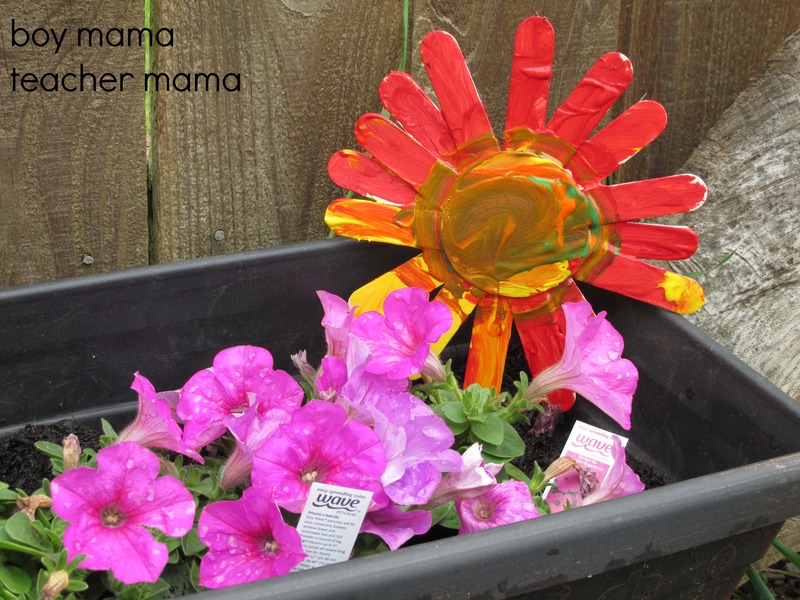 Try covering each flower with Modge Podge or something similar to protect it from the elements if you are going to keep it outdoors. 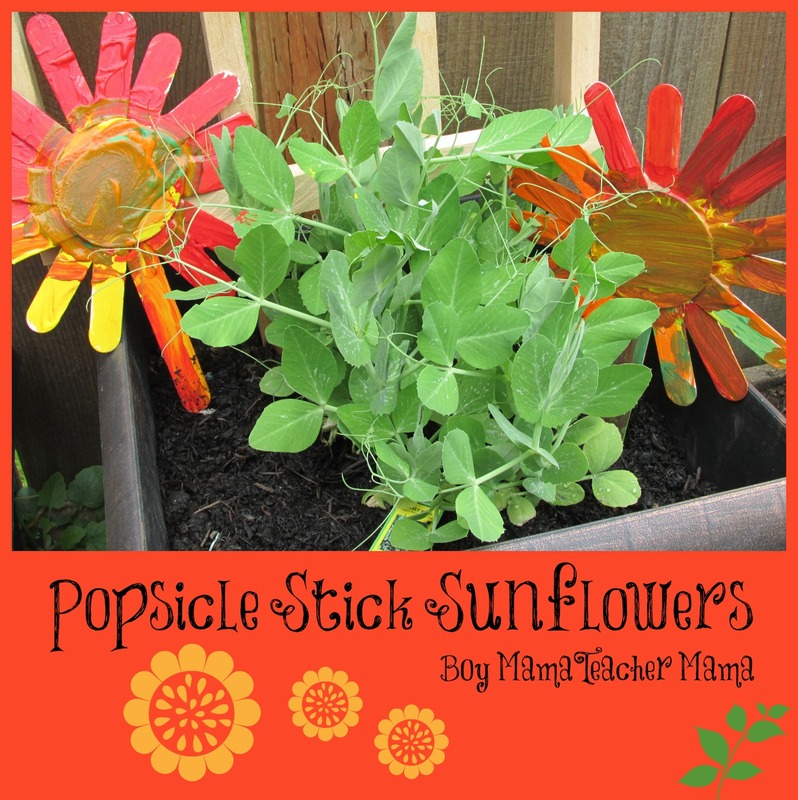 Other ideas for your popsicle stick sunflowers? Write the name of the flowers/herbs you have planted on them so you remember what is there. Hang them on your fence with your children’s names printed on them. 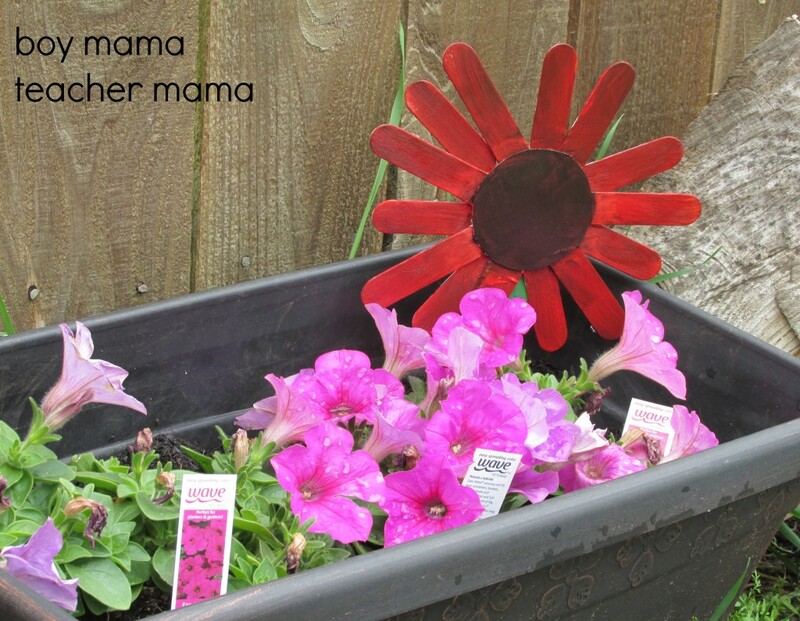 Give them as Mother’s Days gifts to moms, aunts or grandmas. 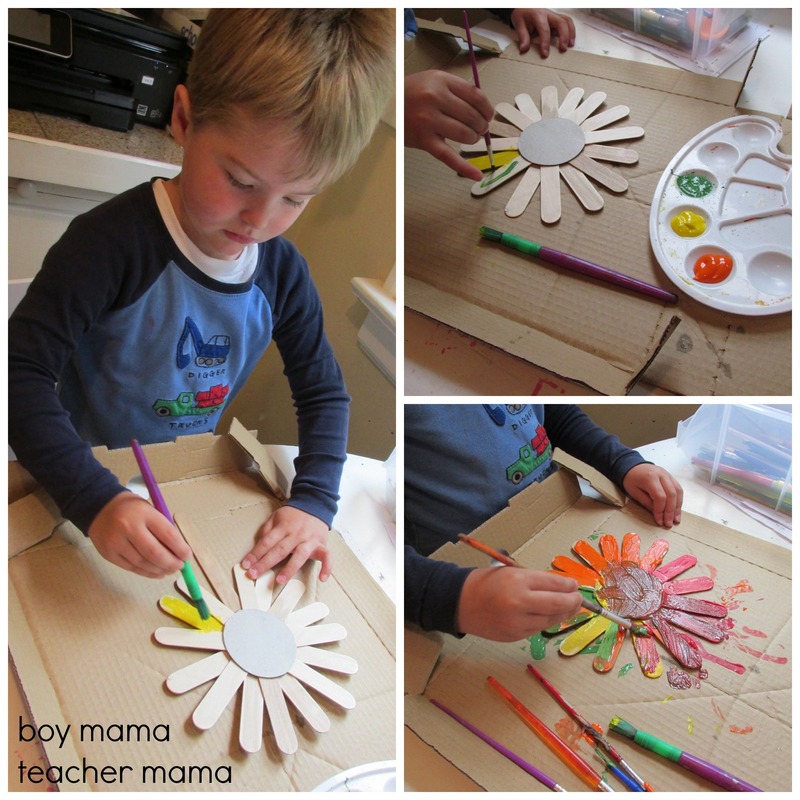 Write one letter of your child’s name on several flowers and hang them in your child’s room. 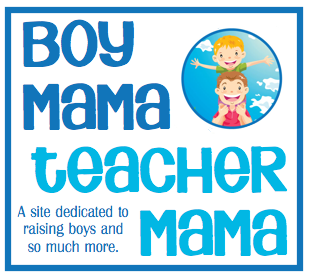 If this is your first time visiting Boy Mama Teacher Mama, welcome! Did you know that you can also find us on Facebook, Pinterest, Twitter andG+? Stop by to see what is happening! Such a fun idea. My daughter will love these! Pinning! 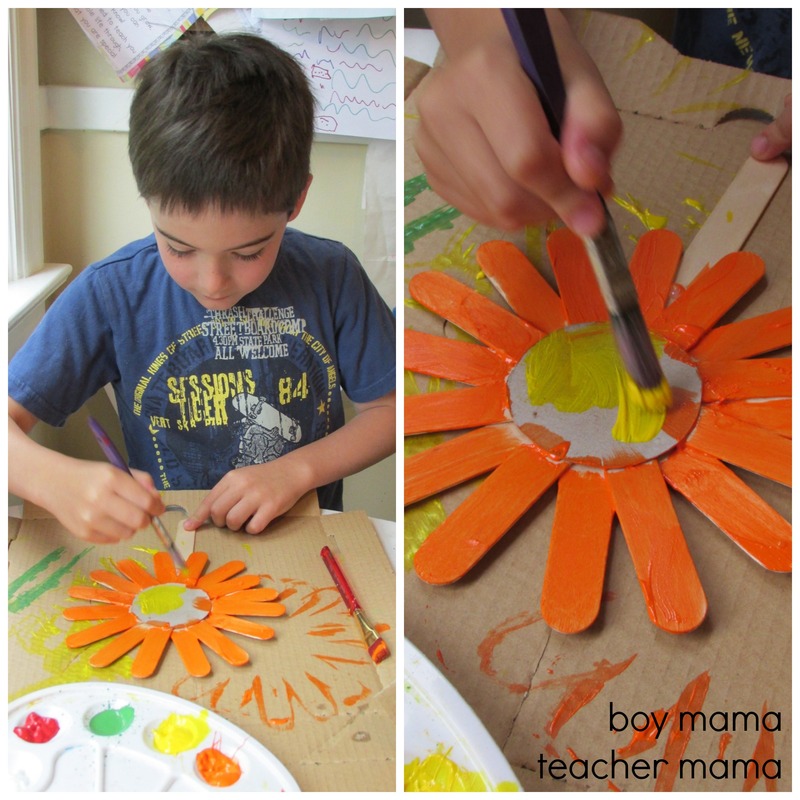 love the idea for marking flower and veggie gardens. My son insists on using the ugly plastic markers that we get with the annuals that we buy. This is much cuter! What pretty flowers! These would be great for Mother’s Day or just as special gift. I pinned this post.